There is a growing concern about how roof leaks relate to health issues. Many Virginia residents underestimate the damage that these can cause on humans. Sure, they may seem harmless now and catching the drips with a bucket seems like the quickest and easiest solution. We use the term “mold” for a group of fungi that are common on wet materials. Outdoors, molds live in the soil, on plants, and on dead or decaying matter. There are thousands of species of molds and they can be any color. Different mold species can adapt to different moisture conditions. 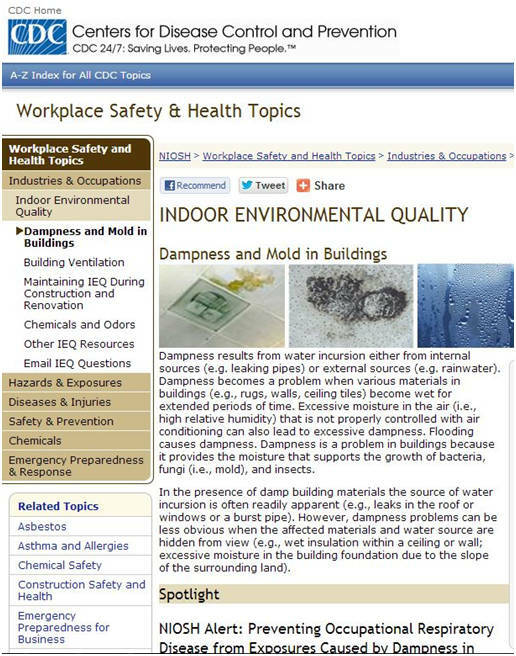 Research studies have shown that exposures to building dampness and mold have been associated with respiratory symptoms, asthma, hypersensitivity pneumonitis, rhinosinusitis, bronchitis, and respiratory infections. Individuals with asthma or hypersensitivity pneumonitis may be at risk for progression to more severe disease if the relationship between illness and exposure to the damp building is not recognized and exposures continue. This should serve to caution homeowners on the risks involved when leaks are left unattended. Peak Roofing Contractors, a GAF certified Manassas roofing company, reminds local homeowners to always take precautionary measures when running into roofing issues because they can compromise the health of their loved ones. Moreover, the possibility of a roof breakdown is more likely when your roof has been weakened over time, so take some time to explore the options available to you at www.peakroofingcontractors.com.